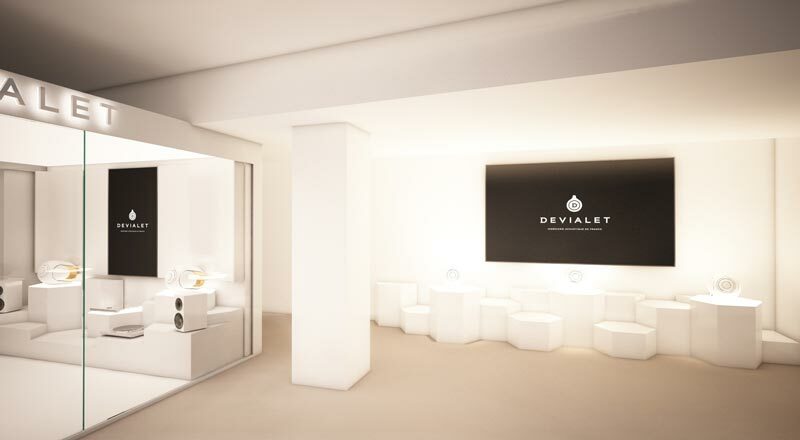 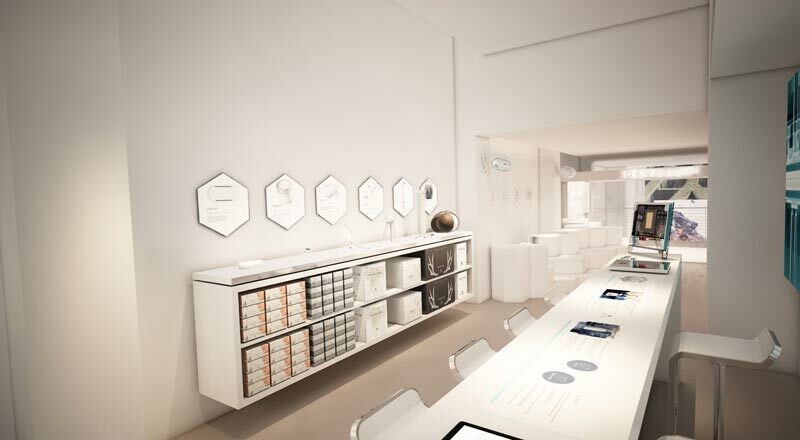 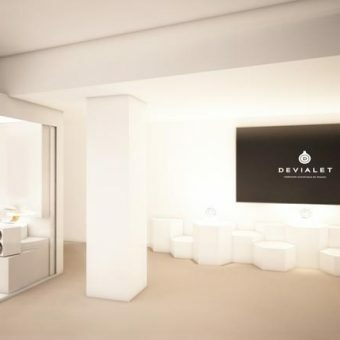 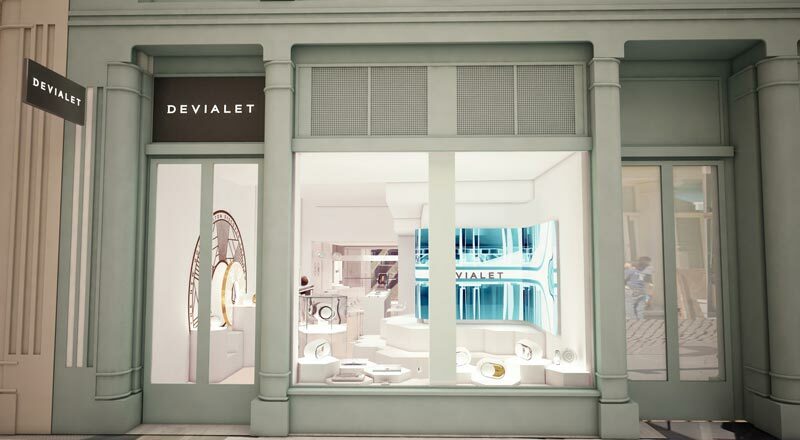 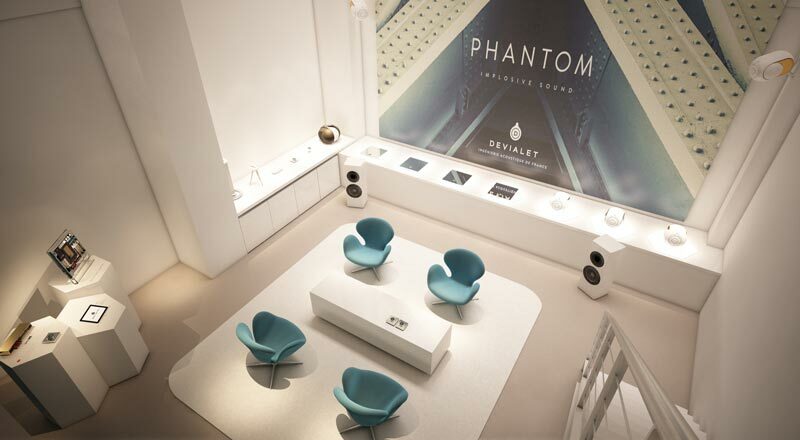 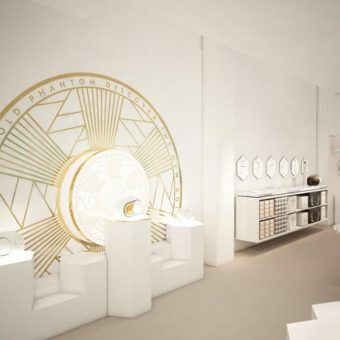 Devialet, the high-end French audio technology company, opened their first U.S. store, in New York City’s landmarked SoHo Cast Iron District in November, 2016. 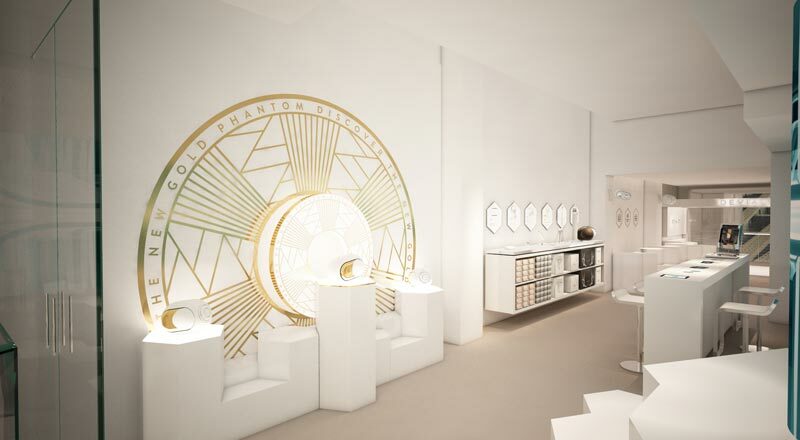 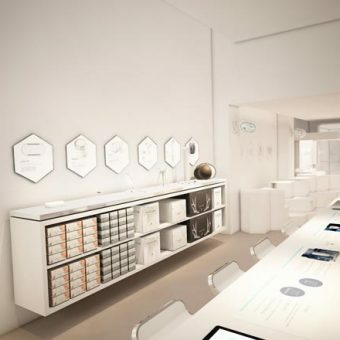 As the architect of record, KOHN ARCHITECTURE provided building department filing plans, code and zoning consulting, and secured Landmarks approval for both the 2,200 sf interior and the storefront signage. 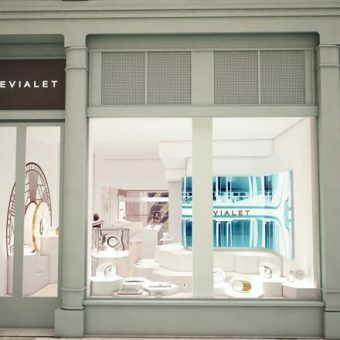 The work was completed all within a short time period to take full advantage of the holiday shopping season. 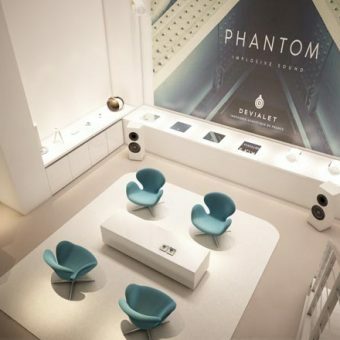 On the upper level of the 2-story space, there is an acoustically isolated glass-enclosed listening room, and a balcony overlooking a dramatic double-height wall which can be used for video projection or artwork. 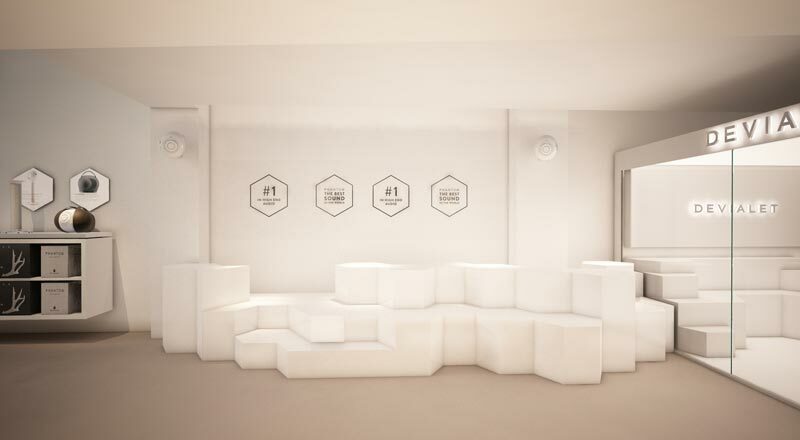 The lower level is intended to more closely resemble a living room listening experience. 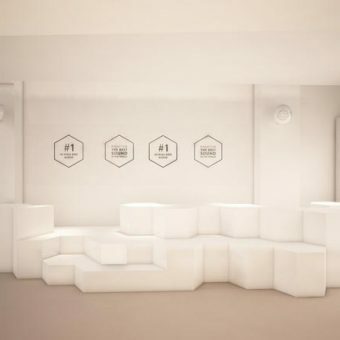 The design motif—an interlocking hexagonal shape derived from speaker technology—is repeated throughout the store in display shelving, angular seating, and the ceiling light configurations. 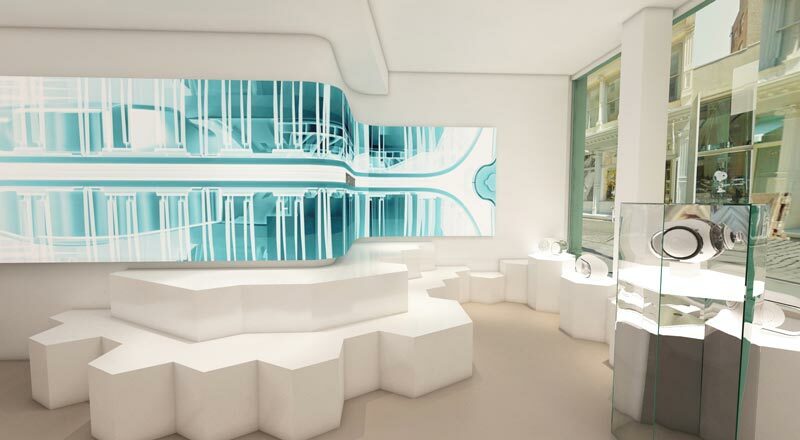 The interior is the work of Miami-based designer, Jean-Pierre Travers of IDBD, Inc.
DiGiacomo & Son, Inc. was the General Contractor.